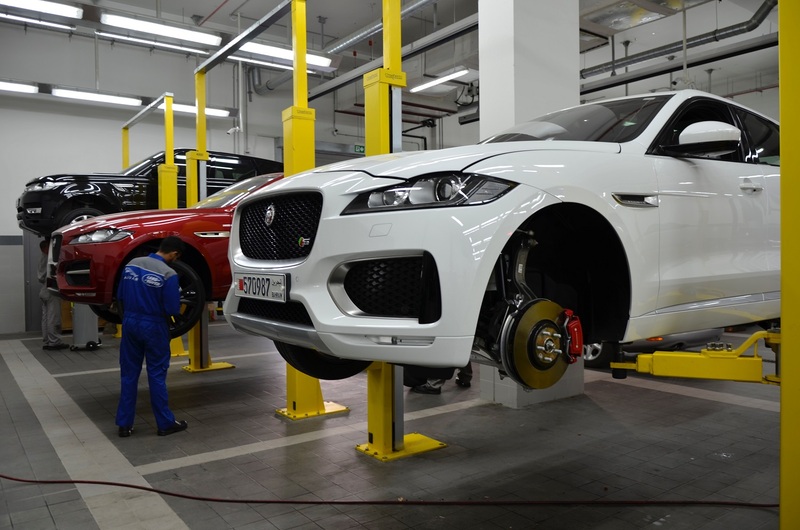 Euro motors, the exclusive importer and distributor for luxury automotive manufacturer Jaguar and Land Rover in the Kingdom of Bahrain, reciprocates customer loyalty by announcing the launch of a unique After Sales service campaign on selected Jaguar and Land Rover models that will run from 21st January to 28th February, 2018. The campaign offers customers owning selected models of Jaguar or Land Rover incredible discounts and complimentary services as an initiative to reward them. Under the campaign, customers owning a Range Rover or Range Rover Sport, up to 2012, can have their vehicles’ Oil and Filter checked and changed at a discounted cost of BHD 85. Furthermore, owners of the Jaguar XJ and Jaguar XF can benefit from the service at an incredible price of BHD 70. Customers benefiting from the campaign will also be provided with a free electronic Vehicle Health Check. During the campaign, customers will also be given the opportunity to avail a 25% discount on parts and fitted accessories and 10% discount on labour charges for any further servicing, repair and maintenance that will be required during their visit to the service centre. Consistently striving to provide the best in customer service, Euro Motors Jaguar Land Rover will also be providing complimentary valet and drop off services along with special prices on all branded goods. Speaking on the campaign, Mr. Stephen Lay, the General Manager of Euro Motors Jaguar Land Rover, said: “After Sales services play a pivotal role in strengthening the bond with our loyal customers. At Euro Motors Jaguar Land Rover we are dedicated to constantly coming up with new and innovative ideas that directly benefit our customers and the introduction of such an innovative campaign is in line with that philosophy. To show our appreciation to our valued customers and to deliver the highest standards of service, we have launched a campaign that offers various discounts and complimentary services. Taking it a step further this year, Euro Motors Jaguar Land Rover will also be offering customers who benefit from the campaign complimentary Land Rover Experience Centre vouchers,”. To know more, follow the latest posts about Jaguar on Facebook at Euro Motors – Jaguar Bahrain or on Instagram at @emjaguarbahrain and about Land Rover on Facebook at Euro Motors – Land Rover Bahrain or on Instagram at @emlandroverbahrain. Additionally, to get further information, follow up to date Jaguar tweets on Twitter at emjaguarBahrain or Land Rover tweets on emlandroverbh.